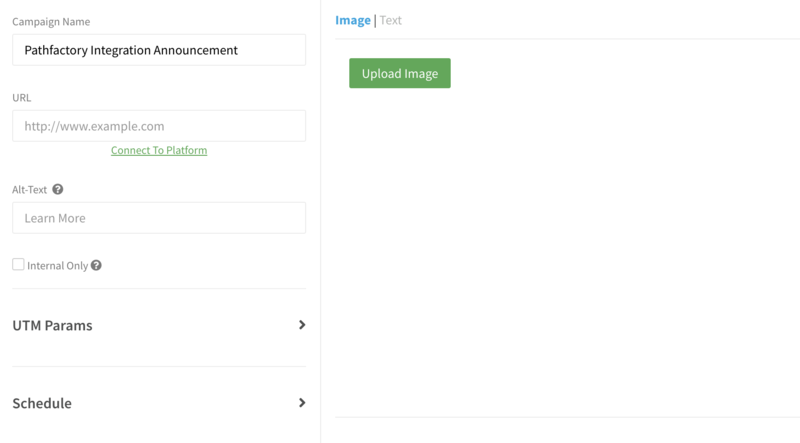 Link Sigstr campaigns to PathFactory content tracks with just one click! 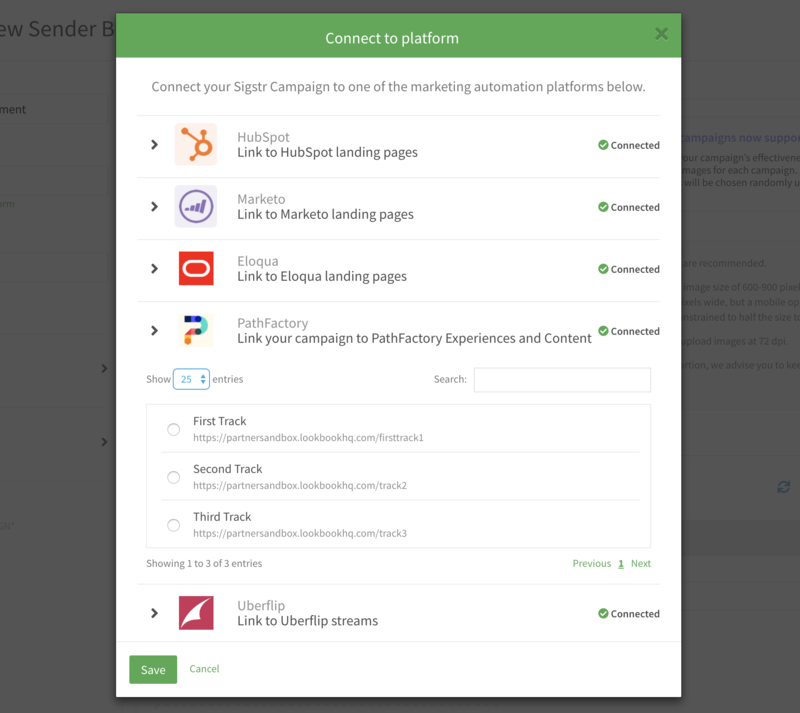 Link Sigstr campaigns to PathFactory content tracks with just one click! Identify who clicks on your email signature banners and track content consumption with no added effort. Using these insights, optimize your email signature campaigns and content offers, while simultaneously identifying highly engaged prospects. Navigate to the Campaigns tab and select to create a new campaign or edit a current campaign. Under URL, select Connect to Platform. Click on the dropdown arrow next to Pathfactory, and choose the track you would like to link your Sigstr campaign to. Save your campaign to finish out the process. 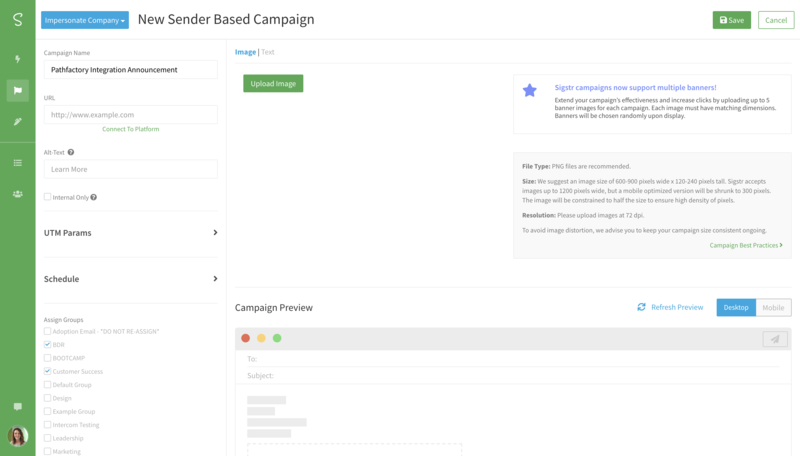 With campaign URL automatically tagged with the appropriate parameters, you will be able to measure how many views, form submissions, contacts, and customers won are sourced from Sigstr.